Although most of us make every effort to retain our natural teeth for as long as possible, brushing them daily and visiting our dentist regularly, dental decay and other oral health problems still affect the majority of people at some point during their lifetime. When these problems become extensive, it can prove impossible to fully restore the health, function and appearance of a person’s teeth. Sometimes a badly decayed or damaged tooth can fall out of its own accord. In other circumstances, your dentist may recommend you for an extraction procedure. When you have gaps in your teeth, you can experience a number of problems. The remaining teeth may shift position to try and take advantage of the extra space, which could open up other gaps in your smile. You are at greater risk of dental problems such as periodontal disease. The function of your teeth may be compromised, and you may be embarrassed by the appearance of your teeth. Dentures have long been considered the conventional treatment for patients who have multiple missing teeth. However, full dentures replace the entire arch of teeth. This means that it may be necessary to remove perfectly healthy teeth from your mouth in order to be fitted for one. Thankfully, it is now possible to have something called a partial denture, which can be used to replace a single or a couple of teeth, without the need to remove any healthy, natural ones. Partial dentures are a popular alternative to the conventional, full variety, because of the number of benefits associated with them. Let’s explore some of the reasons why many patients opt for partial dentures. One of the most popular reasons for choosing partial dentures is the fact that they can be placed around existing, healthy teeth, eliminating the need for unnecessary and potentially painful extractions. The lack of surgery involved in fitting a partial denture will also reduce the costs associated with your dental treatment. Partial dentures are also the cheapest option of replacing missing teeth, and are considerably less expensive than either full dentures or dental implants. Just like full dentures, partial dentures are also removable. This enables the patient to take them out to do a really thorough clean of both their dental device, and their underlying gums and surrounding natural teeth. 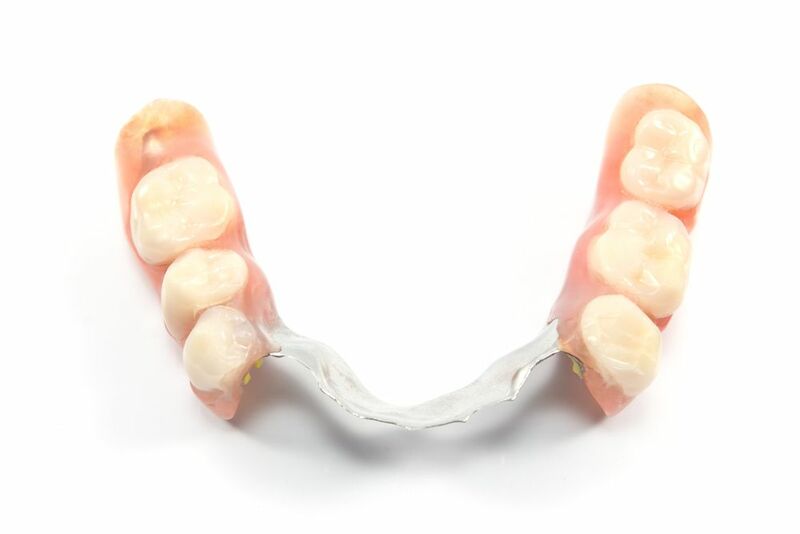 Bridgework is a common alternative to partial dentures. However, bridges are secured onto the teeth neighboring the gap, and this can put them under a lot of strain. In some cases, these adjacent teeth become damaged from the force exerted by the bridgework. However, partial dentures are completely removable and secured using special adhesive. This means that there is no worry about damage to your natural teeth. Although you will have to take special care of your partial dentures, ensuring not to drop or damage them, with the right care and attention, they could last you a considerable amount of time and are a sound investment in your smile. For more information on the benefits of partial dentures, call Dr. Donald Cadle, JR for a consultation at 727-312-1300.